Here's a quick video on how I hire someone to find books at thrift stores. I hired my first book-sourcer in November of 2015. As of today, he has now purchased over 20,000 books for me. This has been a great model since I can now spend all my time listing books instead of going out and trying to find them. I've been able to save a ton of time. If you want to know what I pay my book-sourcer and how I set the triggers on the scanner, please download this short guide. Exciting! Please Nathan, would you send me details on what to pay a book sourcer. I set them up with a Samsung Galaxy S3 and a Socket 8Ci scanner. I get a copy of their driver’s license plus I have them sign a contract. I usually have a couple meetings with them first before I hire them, so there is some trust built up. Happy New Year Nathan! and, once again thanks for all your help and tools. I am so happy with the scanner and Scan Lister. Your information is as always timely and informative. You’re welcome. I’m glad you like the information! Then I saw the “hidden” feature. Brilliant. One question I have for you. What % of books have been duds right out of the gate. For example, I noticed your setting of <5 million with merchant price of $4 ($8 landed I assume). I would think that even if you were exclusively looking at only the average rank for more accuracy, that many of these books will still be pretty bad at 4 or 5 million rank. Have you found this to be true? This comes at a great time for me, as I just bought a second FBAScan subscription and socket8ci for my daughter to help me source. She had a bit of trouble understanding all the nuance of reading the app, so I may try your simplified buy/reject approach with her. It would speed her up a lot as well I think. I agree, the 4-5 million rank on my settings is probably a bit risky. I may lower the rank or make the minimum price higher for those rankings. With that being said, I’m really in this for the long term. I don’t mind if a book takes 2-3 years to sell. Nathan, as always great stuff! Whats your experience on letting books set in inventory 2-3 years? Specifically I’ve serious issues lately with AFC “damaged/destroyed” items and entire shipments. It really hurts knowing you found that thrift store gold only to get the dreaded email saying you will get thrift store reimbursement unless you submit a supplier invoice with your appeal. If inventory knocks around one or more DCs for an extended time I feel like it will all be destroyed. I’ve found a local thrift store that let’s me have all the books I want for about 30-35 cents each; so, I wouldn’t want to pay someone $2 to buy books. My problem, however, is that the books just don’t sell well. My inventory right now is at 871, and I’ve only sold 31 books so far this month–definitely not enough to even think about trying to make a living at it. …other question is how is short & long term storage not running items into the red? I’m a newbie doing well on low volume / high margin items. Just can get my head wrapped around a $9.99 sale not being deep in the red after all costs & fees are totaled. Can you send me info on what parameters you set your scanner for? My daughter sources some books for me and I have her look for books under 2,000,000 with 50 or less sellers and no penny sellers. Let me know if I’m off track here. I don’t want to be too picky, but I don’t want to load up with books that are worthless or don’t sell. I probably have about 800 books in right now. I seem to be getting pickier as time goes by. Any ideas? Can you post the scanner settings? I too would like to do this. I have my parameters in this PDF file. I was just curious on how you were able to employ/recruit this book sourcer since I am seriously thinking of doing this myself. Diid you have to draft a form of employment letter or terms of agreement for this sourcer to sign. Did you request for like a resume from this sourcer. Hello Daniel. Here are the answers to your questions. 5. I talked to the person on the phone and in person during an interview. It was pretty obvious that he was “hungry” for the job. 6. Please talk to your CPA. Thanks for another great post, Nathan! Your information is always very helpful and to the point. You’re welcome. I’m glad you like the post. you pay him/her and whats your triggers? I have that info this short PDF file. Too good, I’m total newbie into the FBA. Can we do this if we are outside the USA? Thanks for this little guide! But of course I have questions. Maybe you’ve spoke about this in the past but I’m not fully following the triggers based on merchant fulfilled prices. Have you worked out the math that a well ranked book going for $2.50+shipping would still sell for a decent FBA price? Or do you sell books for under $10? Great videos, I appreciate the info. 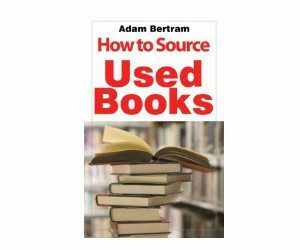 A question on paying someone to source the books for you. The thrift stores around the area and the booksales in my area are routinely charging $1.00 to $3.00 per book. There are not many bag sales here either. I routinely have to travel 2 to 3hrs if I would like to go to any significant sale. Any ideas on how to make that work. I live in southern Vermont..thx!! i do all the sourcing have hired a part time Lister he lists all day and ships. I drive around on the front line and gather the goods. Thanks for all you share and do. Am going to try out your settings. Does your sourcer use the local database on the phone or live lookup? I’m wondering if I would need to pay for cell service on the phone that I provide. 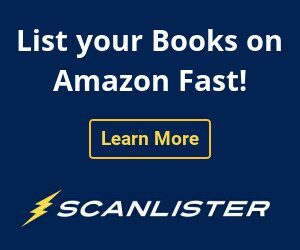 Would love to get an update from you about the horrible things Amazon is doing to us FBA sellers. Everything that’s happened over the last 2 weeks has me for the first time looking outside of Amazon for my bookselling future. Whatever happens, they’ve made it clear that they don’t have our interests in mind. Nathan, just bought the lifetime version of SL. Am hiring a LISTER this week, and was going to give them a copy. 1) is that allowed? 2) would they have acccess to my account info? I am thinking it might be better to have them get their own monthly subscription. Any thoughts or ideas are appreciated. Yes, you can give them a copy. You’re given 5 license keys for the purchase. 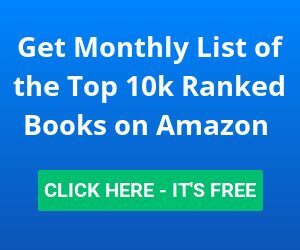 You would need to give them your Amazon MWS information so they can list books on your account. Hey, I would love the pdf. Thanks! I am just getting started with the idea of hiring a book sourcer! It would be great to see your PDF. Thanks so much for the information and helpful video. How exciting. Thanks for updating the fbascan trigger settings since the most recent changes to fbascan and amazon shipping options for FBM have changed! I think I may have downloaded this before. Is the new or updated? It has been updated. The new version with the new trigger settings is right here. But you did not select the box for ” Ignore FBA offers”. Did you overlooked that or there is no need to tick that box to let the scanner ignore FBA offers since, like you said Amazon does not give the 3rd party companies access to all the FBA data”. Am I missing something here? Kindly shed some light o this. Hello, When I said “only look at MF prices”, I meant in the FBAScan triggers. So that why I choose 3rd used price. I would never choose Lowest FBA Price, 2nd Lowest FBA Price, or 3rd FBA price. The “ignore FBA offers” checkbox is really up the user. I still don’t know if this option is helpful or not. I’m a little lost on the merchant vs FBA…if you aren’t looking at FBA prices, is that because, if there are no FBA sellers, you’d be the only one? Thanks. 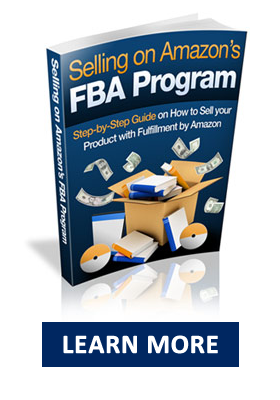 Hi Nathan – I’ve been a fan of yours since I first started my FBA journey about 7 years ago. I started out with books and have branched out, now looking to get back into books again. 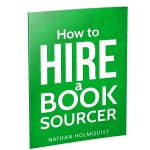 In your guide for hiring a book sourcer you share your scanner parameters and were updated in Feb-2017. However, as you know the storage fees continue to change, I was wondering if you would share your current scanner parameters in light of the most recent fee changes? I have to think that long tail/high rank books are less attractive that before due to onoing LTSF changes. Thanks in advance!